Gentoo Forums :: View topic - lightweight terminals that support custom backgrounds? 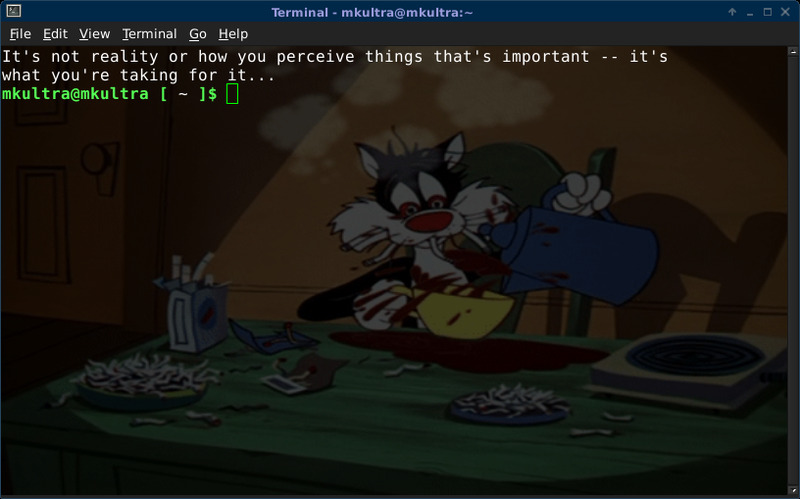 lightweight terminals that support custom backgrounds? Posted: Wed Jan 01, 2014 1:19 am Post subject: lightweight terminals that support custom backgrounds? I am new to the community so pardon any mistakes I may make with this post. I am currently using the awesome window manager with st as my main terminal emulator. I would like to customize the terminal emulator by supplying it with a custom back ground. I am aware that many terminal emulators such as gnome-terminal have this feature. However, I am looking for something that is lightweight such as st that still supports this feature. Does such a terminal emulator exist or should I just use an emulator such as gnome-terminal? I think I remember aterm and eterm can both do this. What I use is urxvt (rxvt-unicode in portage), and it has about every feature that any other term in the world has, including this one. In fact, it can even do some basic transformations in the images before setting the background (not that I use that feature, but it's there according to the manpage). You probably need USE=pixbuf set on rxvt-unicode for -pixmap to work, not sure. By the way, if you plan on using lots of terminals you might be interested in researching on urxvtc/urxvtd, that will help you to save quite a bit of ram.